Personal Digital Assistants (PDAs) or palm held computers have been widely marketed as mobile personal organisers for individuals but it is the business PDAs such BlackBerry that have delivered mobility solutions to corporate Australia. PDAs were initially used by individuals to simply keep notes, contacts and easily connect to the internet. Today many newer PDAs employ touch screen technology, can be used as mobile phones, portable media players and web browsers and also have the capability of accessing internet, intranet or extranet via wireless networks. In the business environment which has become increasingly mobile, PDAs have been developed to include full keyboards and scroll wheels to facilitate data entry and navigation along with many other functionalities that have provided businesses with mobility solutions. Business has been seeking mobility solutions that will not only assist staff on the road but also deliver savings in time and costs. In Australia leading business technology companies have also aligned themselves with global brand names and thereby expanded their range of goods by including select cutting edge business mobility solution products. A wide variety of businesses that would benefit from the use of PDAs can now access sophisticated mobility solution products that will have many applications well beyond the synchronisation of data with the business network i.e. making the same contact lists, appointments and email data accessible on the PDA as the host computer. Reliable and innovative business mobility solutions now enable the deployment of PDA units to a wide variety of applications in the private sectors such as retail, transport and logistics and manufacturing as well as the public sectors of government and semi-government. Business PDAs now provide for on-demand data capture and real time communication whether staff are office based or outdoors, day or night and regardless of the task at hand. Whatever a businesses needs mobility solutions are available offering wireless communication technology to match its requirements. Latest product releases in Australia provide high speed WWAN (HSDPA), WLAN (IEEE802.11b/g) and Bluetooth support and also have mobile phone capability using the GSM network. The top of the range PDA models come with Windows Mobile version 6.5 as their platform, colour LCD display, GPS functionality and an integrated contactless smart card reader/writer (short range wireless communication for data exchange) which can be used for passenger transport ticketing and ID or membership cards. Robustly designed and durable, good quality business PDAs offer a wide choice of scanning capabilities with the latest products achieving optimum reading performance in all working environments. Additional features in leading mobility solution products include megapixel colour digital camera. These features combined with the other built in technologies now mean all business as access to mobility solutions through a variety of industrial PDAs which can be used in most business applications. Fast and simple to use, business PDAs will provide mobility solutions and cost savings for a range of businesses. 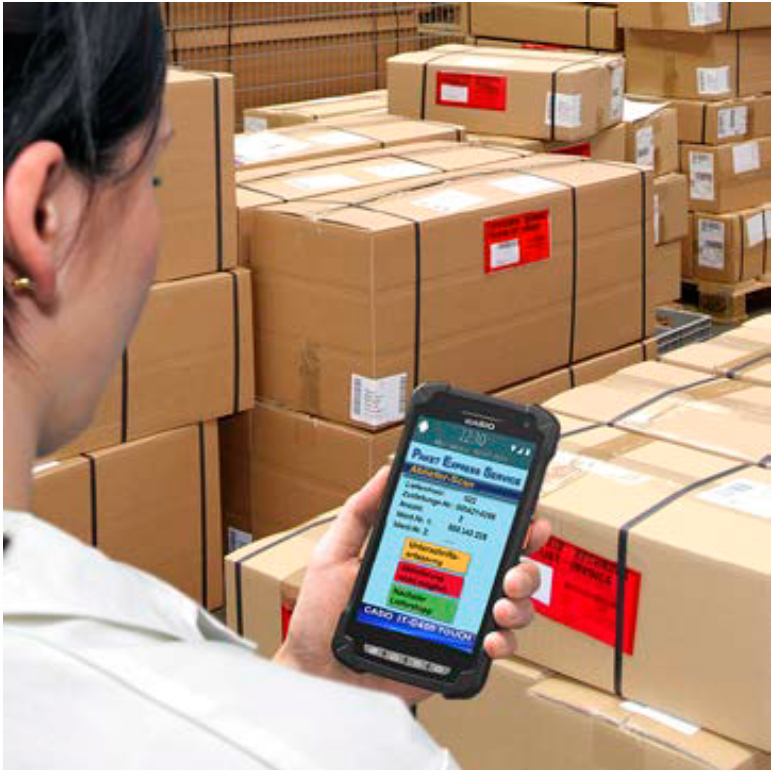 By purchasing good quality multi-featured PDAs you will improve accuracy of data, increase productivity (no need to manually input completed forms, field staff do not need to visit the office to collect forms) and have real time information collected stored and accessible to all authorised personnel.